Now more than ever, fear and uncertainty are becoming staples of daily life. During changing times, it's easy to worry, give up, and let fear paralyze you. However, you have more control than you think you do, and how you handle adversity is your choice-the only choice that matters. 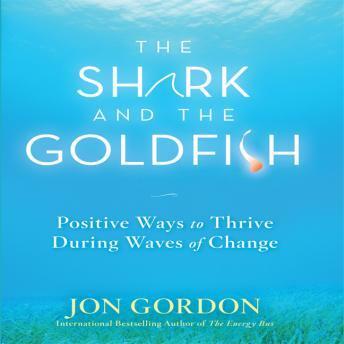 In The Shark and the Goldfish, bestselling author Jon Gordon shares an inspiring fable about a goldfish who has always been fed, a nice shark who teaches him to find food, and a wave of change that brings them together. In the process of finding food the shark teaches the goldfish the ultimate lesson-that the difference between a full belly and an empty stomach depends solely on your faith, beliefs, and actions. In the face of adversity, this is a simple fable that reinforces a proven truth-you can't control the events in your life. But you can control how you respond to them. You can allow the waves of change to crush you, or you can learn to ride them to a successful future. Packed with tips and strategies for thriving during tough times, The Shark and the Goldfish will have a lifelong impact.